Honest Connection. Willingness. Trust in Partnership. Peace. Click picture to see a day in the life at EAH. We have happy horses (and humans) here. Our herd gets to kick it up all day in the pasture with their friends. People get to learn how to work WITH their horse, creating a fulfilling partnership. We at Eden’s Aspens Horsemanship invite you and your horse to come be a part of our community. I am a student of the horse and I work to translate the horses’ language into something that people can learn from and understand. I teach people how horses communicate so we can all receive the healing they are here to give. Horses are majestic, powerful, breathtaking soulful beings. They are playful and exude a pure essence of freedom. Horses remind us that we as humans are capable of being this too, but life circumstances can suppress our ability to live these qualities. Horses want to show us how to be free of pressure and obligation. Not only show us, but meet us there in friendship. First, they have to be allowed to do so. My training focuses on reading where the horse is showing brace and unwillingness. This could be physically from pain, mentally from poor previous training, or emotionally from being mistreated or simply misunderstood. I believe every horse has a special gift. Often they need to be taught how to understand and use it. It is not about the horse doing something right or wrong, it is about you learning and being able to teach your horse what you are expecting. From Clear communication and understanding comes trust and that’s where partnership blossom. I will never tire of seeing each partnership grow into something unique and touching. This way of being supports you and your horse in continued growth.It teaches clear communication, establishing boundaries and willingness. 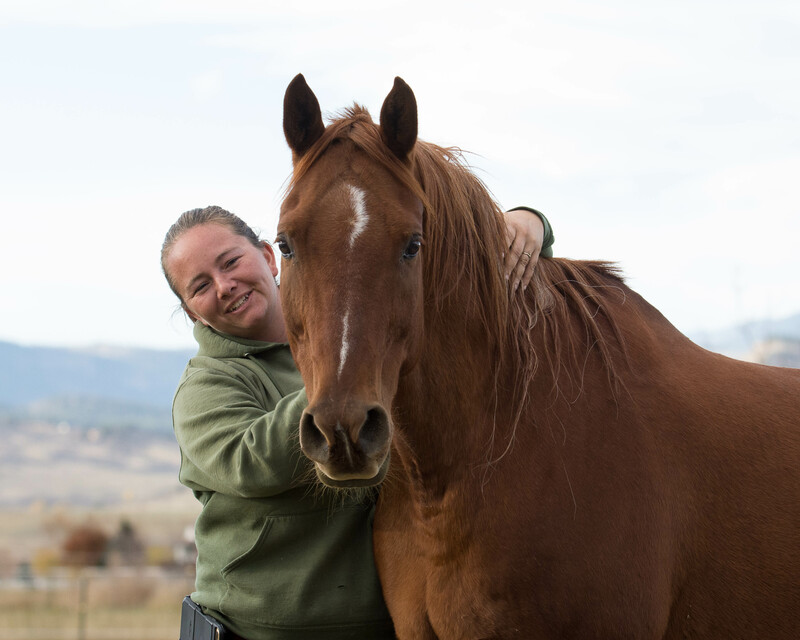 Our passion here at EAH encompasses the whole horse and herd – physically, mentally, emotionally and spiritually. Our horses have the opportunity to live in peace.As a result they support healing, growth and an expanded awareness. A peaceful horse is a supremely willing partner and that’s what we are passionately striving for at EAH.